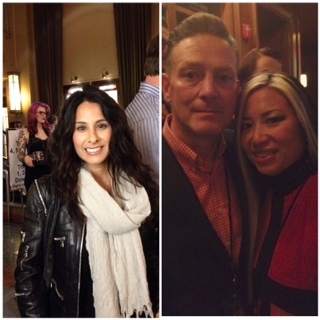 Former Motowner Jessica Golden (left) returned home this week for the Detroit movie premiere of Los Wild Ones. Golden produced this documentary about the Rockability subculture of young musicians inspired by the 1950s. The movie chronicles Reb Kennedy and his wife (right) with their “family” of musicians all on Kennedy’s LA-based independent record label Wild Records. Los Wild Ones is part of the the Uptown Film Festival in Birmingham, Mich. The music is raw and intense, and the people showcased are better than reality TV. Jessica Golden lives up to her name. The movie is gold.